You don’t have to be a doctor to have a rewarding career in healthcare; competent managers are in demand. Health management grads find jobs in hospitals, long-term care facilities, allied health organizations, insurance companies, and government agencies. Build on your managerial, administrative, and technical skills, as you gain an in-depth knowledge of America’s healthcare system. The Bachelor of Science degree in Health Management is designed to prepare graduates to advance their career in the management of various health care settings while learning from experts in the field. This program provides career-entry opportunities for high school graduates and professional advancement opportunities for health care personnel. With a carefully selected combination of courses in health care management, students are prepared to manage the challenges they face in this dynamic industry. Bailee Hauser talks in depth about the Health Management, BS program at the University of Minnesota Crookston. The Bachelor of Science degree in Health Management at University of Minnesota Crookston (UMN Crookston) meets the requirements and is approved by the Board of Examiners for Nursing Home Administrators (BENHA) in Minnesota and the National Association of Long-Term Care Administrator Boards (NAB). With the NAB accreditation, UMN Crookston also meets the standards for the Healthcare Service Executive (HSE) status. Upon completion of the degree, UMN Crookston graduates are HSE eligible and qualified to take the state and national examinations for licensure as a Nursing Home Administrator in Minnesota and other states. If students have completed a bachelor’s or graduate degree and are interested in licensure as a Nursing Home Administrator in Minnesota, UMN Crookston annually offers all classes required for licensure online. In this case, students would enroll as a non-degree student. For more information, contact Program Director, Susan Klassen. UMC offers a similar program, the Bachelor of Applied Health degree, which is designed for students with an associate’s degree in a clinical field. To be eligible for the Bachelor of Applied Health degree students transfer in 38 clinical credits from community and/or technical colleges. This is an applied degree and requires a few less liberal education, management and finance classes than the Health Management degree. This is a great option for students currently working in healthcare, since it is a fast-track to a bachelor’s degree. Health managers must work and communicate with a variety of clients; therefore, Health Management students take an array of liberal education, technology, business management, and health related courses. They build on this foundation with specific courses designed to provide a strong understanding of health management philosophy and practice. UMC's program in Health Management is designed to prepare graduates for management positions in hospitals, clinics, nursing homes, human service organizations, government and other health related organizations. It provides a well-rounded education in healthcare, preparing individuals for positions in healthcare and government. Learn from seasoned professionals who are experts in their healthcare fields--administrators, attorneys, policy specialists, IT managers, and even physicians--as they share experiences through their teaching of specific courses. Professional advisors evaluate student transcripts and provide students with a complete pre-evaluation. The Health Management degree program is offered online and on-campus, and an online Health Management minor is also available. She is the lone graduating senior on the Golden Eagle Volleyball team, but health management major, Callie Schapekahm, Eagan, Minn., is well prepared to lead. She has a long history on the court beginning when she was in early middle school. A two-time Amateur Athletic Union (AAU) National Champion with Northern Lights Junior Volleyball, Schapekahm helped lead the Eagan High School Volleyball team to the 2013 state championship and a runner-up finish in 2014. There was no clear game plan, however, when it came to her choice of majors at the University of Minnesota Crookston. Instead, she explored both international business and management programs before setting her course in health management. "The University of Minnesota Crookston Healthcare Management program fostered my knowledge and professional development allowing me to excel at the next level of healthcare education. I currently attend the University of Minnesota Twin Cities for their Masters of Healthcare Administration (MHA) degree, which is consistently ranked one of the best programs in the nation. I hold a strong interest in Strategic Planning and Process Improvement within the healthcare system. Crookston’s Health Management program has helped me develop a great understanding of today’s healthcare and the future to come. Crookston’s classes are different than any other courses I’ve taken in the past. The professors make the classroom experience very interactive, which allows for professional teamwork development. The curriculum covered by UMC aligns directly with the materials I’m learning today. Also whenever I had a question about the course materials, the professors were easily accessible in person, by email, or by telephone. Without my educational experiences and the well known reputation of the University of Minnesota degree, I wouldn't be in the position I am today." The Bachelor of Science degree in Health Management at University of Minnesota Crookston (UMN Crookston) meets the requirements and is approved by both the Board of Examiners for Nursing Home Administrators (BENHA) in Minnesota and the National Association of Long-Term Care Administrator Board (NAB), the nation’s leading authority on licensing, credentialing, and regulating administrators of organizations along the continuum of long-term care. With this NAB accreditation, UMN Crookston meets the standards that allow students to be eligible for the Healthcare Service Executive (HSE) status. Upon completion of this degree, graduates are qualified to take the state and national examinations for licensure as a Nursing Home Administrator in Minnesota and other states. If students have completed a bachelor’s or graduate degree and would like to pursue licensure as a Nursing Home Administrator in Minnesota, UMN Crookston does offer all of the classes required for licensure online. In this case, students enroll as a non-degree student. For more information, please contact Program Director, Susan Klassen. The program is an established online and on-campus program educating students to be the next generation of leaders in an evolving career of long-term care professions. Aligning the program with the standards of excellence established by the National Association of Long-Term Care Administrator Boards (NAB), Washington, D.C., and providing faculty who teach courses in the specialty area in which they work, brings the UMN Crookston Health Management’s Long-Term Care Supports and Services track to a unique level for licensure preparation. According to the Bureau of Labor Statistics the job market for graduates of healthcare management programs is very strong due to the rapidly increasing aging population. The number of older adults living in nursing homes, assisted living facilities, retirement communities, and those individuals requiring community services, is predicted to double within the next ten years. The program prepares students as executives of older adult services, educated in the regulatory and operational standards for home care, hospice, assisted living, and other community support settings. Upon completion of the program, graduates will be eligible to apply for the national exam offered through the National Association of Long Term Care Administrator Boards (NAB) and their state examination criteria. In Minnesota, the examination board is the Minnesota Board of Examiners for Nursing Home Administrators (BENHA). The National Association of Long Term Care Administrator Board website provides a NAB handbook on how to prepare for the examination, which follows the state exam. The program’s comprehensive curriculum, committed student participation, and experiential learning through a practicum conducted in partnership with experienced licensed administrators provide the students with positive test results. The practicum is available to satisfy relevant state licensing board internship or administrator-in-training (AIT) requirements. 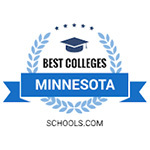 Earn a prestigious University of Minnesota degree online from the University of Minnesota Crookston (UMN Crookston). Provides personal attention and exceptional faculty and staff... all delivered online. Study in the comfort of home. There are no scheduled meetings or classes. Do coursework as time allows while following the deadlines to stay on track. Learn from faculty currently working in the field. Most faculty have special skills related to the course they are teaching. They bring expertise and experience to the learning environment to prepare future executive leaders. Strategic management to provide leadership for the increased demographic shift and consumer-centric choices. Participate in a transfer-friendly credit program. UMC offers free evaluations of previous college credits. UMC Admissions Office assesses previous course work to determine transferability into the program before applying, if desired. UMC accepts transfer credits delivered by regionally accredited colleges or universities. Contact the Admission’s Office for details. The online Long-Term Care Administration curriculum can be customized while meeting state licensure regulations and continuing education requirements, including the Administrator-In-Training (AIT) guidelines. General education courses provide a liberal arts academic foundation to prepare students for a broader knowledge of society, diversity, ethical dimension, and culture, as well as special interests. Courses include topics in oral and written communication; nature and science; and people and the environment. The Bachelor of Science in Health Management core curriculum includes the following courses: Organizational development and leadership; health care finance, accounting, and economics, law, risk management, human resources; health care operations and quality improvement, health care and medical needs, medical terminology; health policy, ethics, and marketing; health information and regulatory management. Students learn the importance of applying principles of health care administration to develop administrative, ethical, and professional skills as future healthcare administrators. The Core Program courses contain long-term care specific information in each of their subject areas. For comprehensive long-term care courses, Long-Term Care Supports and Services students are also required to take Gerontology and Administration of Long-Term Care. Students are taught to prepare spreadsheets and documents required for operations and financial analysis. Students must take enough open elective credits to meet the 120 credit graduation requirement. Such classes can relate to topics in specialty areas or areas of interest. The UMN Crookston practicum (internship) hours must be completed before taking the state or national exam. Taking the online required courses during the practicum timeframe is a common practice. An active application for licensure needs to be on file with the state licensing board to be eligible to take the NAB exam. In most situations, a state-specific exam is administered prior to taking the NAB exam. Each state’s nursing home licensing board website contains the recommendation for requirements and exams. The Program Director can assist in obtaining this information. For more information on the Minnesota’s Board of Examiners for Nursing Home Administrators, the application process visit their site. What does a long-term care administrator do? Long-term care administrators may take on various titles, such as licensed nursing home administrators (LNHAs), assisted living administrators, directors of nursing in long-term care or directors of other long-term care services. Administrators may be responsible for financial management, budgeting, and quality standards across a department or organization, ensuring regulatory compliance, oversight of departments responsible for hiring and training personnel, collaborating with social workers, health care facilities management, stakeholder engagement, etc. What are the long-term care licensure requirements for each state? How do I apply for the program when I am from a state other than Minnesota? Questions: Office of Admissions ore learn more about Online Programs at UMC. I already have a Bachelor or graduate degree. How do I transfer my college credits and found out what I need to do become licensed in my state? What additional courses are required in Minnesota beyond a bachelor’s or graduate degree? Students who have a bachelor’s or master’s degree may enroll to complete all or some of the courses to meet licensure requirements. Online learning is available to meet Minnesota Board of Examiners for Nursing Home Administrators (BENHA) requirements for organizational management, managerial accounting, gerontology, health care and medical needs, nursing facility services, human resources, regulatory management, and performance improvement in healthcare and practicum. If a student wants to also be eligible for the Health Service Executive status (HSE), as well as the LNHA licensure now or in the future, all courses will have to be taken even if completed in a prior degree, and 1,000-hours of internship will need to be completed, according to the MN BENHA regulations. The practicum will be delivered registering for 3 credits of HSM 3900 E-90, then 2 credits the following semester. The UMN Crookston Program Director advises students with course selection, when needed. What if I want to obtain my courses and practicum from a NAB-accredited University in Minnesota, but do not want the HSE status? Professionals with experience who are not interested in the HSE status can opt to petition to have courses and practicum hours waived. They may still qualify as a Licensed Nursing Home Administrator (LNHA) upon successful completion of the state and NAB exam. Course or practicum hour reduction can only be approved by MN BENHA, by state statute. The forms to begin the process can be found at Applicants with Experience, Waiving eligibility for HSE. How long does it take to complete a Bachelor’s Degree in Health Management including the courses of the Long-Term Care Supports and Services Administration (Nursing Home Administrator) program? A student entering the program with no previously earned credits and registered in the program on a full-time basis and maintaining the cumulative GPA required by each state, is commonly completed within four years. Many students enrolled in the program are working full-time and choose to spread out their courses to accommodate their work schedules. At UMN Crookston, we appreciate and value the positive impact health care professionals have on individuals and communities across the country and the world. We offer educational programs to help grow careers with an emphasis on compassion and ethics in the field. To learn more about UMC’s major, minor and certificate programs or to become a campus student, additional information can be discovered here - Future Students. Health Management/Applied Health internship is a 10 week field experience under direction of a supervisor in a health care organization or agency. The program is designed to engage students in a variety of projects and activities in a professional organization and match organizational need with a student’s interests and abilities. The internship program is designed to engage students in a variety of projects and activities in a professional organization and match organizational need with a student’s interests and abilities. Employers can benefit through the internship as a cost effective screening process and training for potential recruits, an opportunity to select, train, and influence the brightest and best, a chance for training and development for managers and mentors, and enlist additional project assistance. Internships provide a source for fresh and diverse talent along with new ideas and insight. The University of Minnesota Crookston can assist with HIPAA training to provide students with guidelines promoting an understanding and compliance with applicable health information, privacy and security laws, rules and regulations. Affiliation agreements between the health care organization and the University can be arranged to outline shared goals of education and the desire to facilitate a relationship for the purpose of providing educational experiences. The University also can assist with background checks and proof of immunizations. Students benefit through the internship as a professional work experience and incorporate the learning in class in a real world setting. Engaging in projects/activities in a health care setting that reflect work as a professional such as budget development, policy/procedure development, performance improvement, information technology, marketing, developing business plans, community education, scheduling and acuity systems. Taking part in a special project of a longer duration such as assisting with the annual budget process, market research, resource allocation, or quality improvement. Attend appropriate meetings to gain a broader understanding of the organization. Gain a greater understanding of the health care organization and its structure by spending an appropriate amount of time in every department depending on the organization’s complexity and size. Provide opportunities to enhance communication skills and real-world interactions in a professional environment. Enhance learning through application and demonstrated professionalism. Program Improvement Advisory Committee members for the Health Management/Applied Health programs at the University of Minnesota Crookston serve a critical role in the implementation, evaluation, and continuous improvement of our educational programs. The membership is comprised of people with diverse backgrounds and interests, including representatives from educational and health care organizations. The University of Minnesota Crookston Healthcare Management and Applied Health Programs prepare students for a career in healthcare management in various health-related settings. It provides the foundation for specialized graduate training and other career pathways. Provide a program of INTEGRITY, based on qualified faculty and up-to-date curriculum to provide qualified and ethical healthcare managers for the growing healthcare consumer base. Ensure the online programs’ FUNCTIONALITY for successful learning experience for employed students. Maintain high STANDARDS, issued by the Higher Learning Commission and Department of Health. Provide an environment of ENGAGEMENT in the spirit of learner-centeredness, to enhance the University of Minnesota experience while participating online. Secure program MEASUREMENTS in order to gage success of outcomes and continuous quality program improvement planning. Create an assertive and forward-looking RECRUITMENT plan to provide students access to UMC’s Healthcare Management programs. Provide a curriculum that teaches and practices the INTERRELATEDNESS of various aspects of the healthcare business and partnerships. The University of Minnesota Crookston Healthcare Management and Applied Health Programs are preparing leaders for a world of transitioning demographic pairing of healthcare consumers and workforce for healthcare delivery using technology, patient-centeredness, and strategic alliances.